Model depiction of the Altar of Burnt Offerings in the Tabernacle. 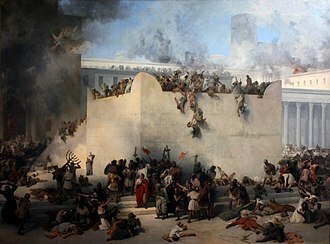 Destruction of the Temple of Jerusalem, by Francesco Hayez. This imaginative depiction centers on the Altar of Burnt Offerings.